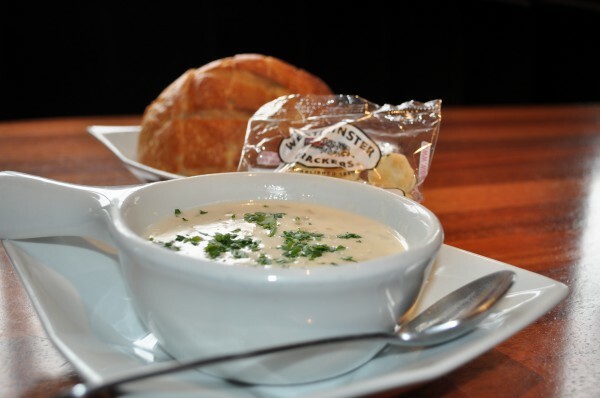 It’s so rich and buttery and creamy that it almost qualifies as a dessert, but the clam chowder at Fishbar is usually served at the beginning of a meal rather than the end. It’s mild rather than peppery, tasting of clams rather than bacon or the other condiments that are often present in chowder, and it is richly good. Chowder was invented along the temperate Atlantic coast of France and transplanted to the cool shores of New England, but it tastes just as good in our Mediterranean climate, and Fishbar has the recipe down to a science. Fishbar: 3801 Highland Ave., MB. 310-796-0200. Runner-up: Fat Face Fenner’s, 53 Pier Ave. (upstairs), HB. 310-379-5550.